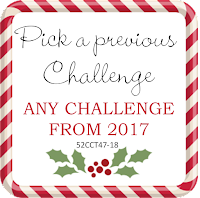 For the final challenge of 2018, it is a pick a previous challenge from 2017. 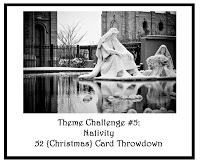 Just to make things more complicated, I selected the May Theme Challenge 2012 – Nativity. 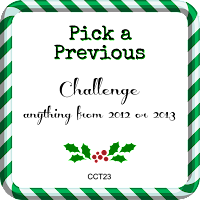 I used the stamp and die set from Stampin Up (retired) called, Night in Bethlehem. I made everything monochromatic using black – grey - silver – white. Because the sentiment is in the inside, I included a photo of it as well. This challenge runs all month. Thank you for joining us this year and we look forward to seeing more of your fabulous creations in 2019! What a beautiful scene! The black and white gives this wonderful creation a very special charisma! What a wonderful holiday card you made :-)) I like the scene you create!